Esco Medical is your partner in achieving better success! 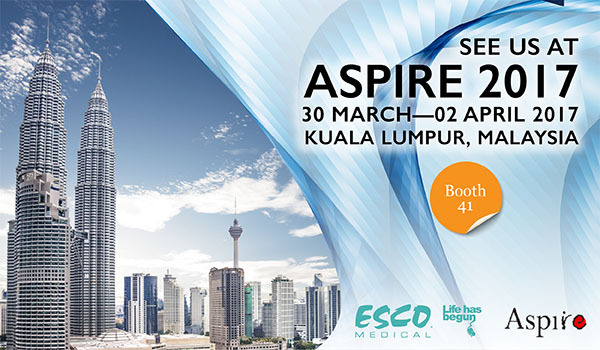 Come and see us at the 7th Congress of the Asia Pacific Initiative on Reproduction (ASPIRE) this 30 March - 02 April 2017 at the Kuala Lumpur Convention Center, Kuala Lumpur, Malaysia. Pin your calendar and visit us at Booth 41.